Home Biafra Biafra: Radio Biafra The Biblical Python That Swallowed Its Kind, "Agwo Loro Ibeya"
Biafra: Radio Biafra The Biblical Python That Swallowed Its Kind, "Agwo Loro Ibeya"
The arrival of radio Biafra is very disastrous to Nigeria government and the global at large, one of the Biafran languages precisely the "Igbo" tribe called it "Agwo loro ibeya" (The giant Python who feeds on its kind ) and I conquer with that adage base on the fact the radio station has done more harm than good to Nigeria media outlets and some international media as well . The Radio Biafra we called our own today is not only limited to Biafra and her citizenry but, also the mouthpiece for those who are suppressed and subdued by their slave masters around the globe. The Word "Radio Biafra London" is attributed and attached with a Bible quotation in Exodus 7 vs10 to 13 when God instructed moses to liberate the people Israel from Pharaoh's captivity. He gave Moses a Staff to prove to Egyptians that he (GOD) sent him. Moses told Pharaoh that God said he should let his people go and to buttress this, Moses cast down his staff to prove God sent him, immediately and surprisedly, the staff metamorphosis into a giant python, in response to mock Moses, Pharaoh called on his magicians to also perform the magic but surprisedly pharaoh and his magicians watches Moses staff ( python ) swallowed all the magicians pythons . The same history has taken place in the case between Nnamdi Kanu and Mohammadu Buhari of Nigeria the pharaoh of our time. Mohammadu Buhari has spent billions of naira trying to stop radio Biafra but to no avail, because just like in the days Moses, Nnamdi Kanu came to liberate his people and Africans using his radio Biafra as the only weapon to disseminate the gospel of redemption and restoration of Biafra. If Mohammadu Buhari his agents Cannot destroy radio Biafra than you cannot destroy his quest for freedom. 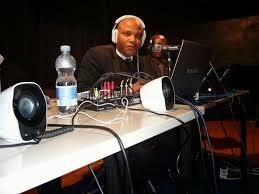 When Nnamdi Kanu came on air to preach the gospel of the restoration of Biafra to humanity and the atrocities going on in Nigeria to the world, the tyrannical government of Mohammadu Buhari could not stand the undiluted truth coming from this radio station, in their bid to stop the biblical python from accomplishing his missions, Mohammadu Buhari call international and local magicians to destroy , Jam and neutralize the python (the Radio Station) from speaking the truth because The radio Biafra station in London posed a big threat to them . But surprisingly the radio Biafra was able to swallow every media house in Nigeria, including the newly established Radio Buhari international "RBI". ( Radio Biafra International) anchored by treacherous individuals. The last time radio Biafra broadcasted in Biafra land was about 48th years ago during the war, before the present arrival of radio Biafra London on CHK, the radio station has been broadcasting on shortwave frequency. Radio Biafra has played a vital role in coordinating the restoration of Biafra and emancipating people of Biafra from shackles of slavery orchestrated by the British government with their willing tools the "Hausa Fulani's oligarchy" imposed on us. Radio Biafra built by Biafrans has proven to the rest of humanity that, Biafrans are at the forefront to competing with the rest of the world in the areas of science and technology when the nation is fully restored.